Updated with quotes and details after NASA press conference. Orbital ATK’s Cygnus cargo freighter, Sierra Nevada’s Dream Chaser, and SpaceX’s Dragon supply ship will carry equipment to and from the International Space Station under contracts announced Thursday. Credit: NASA/Sierra Nevada Corp. The Dream Chaser spaceship, originally conceived to carry astronauts, can deliver up to 12,000 pounds — 5,500 kilograms — to the space station per trip, then detach and return to Earth for a runway landing like the space shuttle. Sierra Nevada’s lifting body spacecraft has never flown in orbit, and the company aims to drop the craft from a helicopter for an approach and landing demonstration in the coming months. NASA’s current cargo transportation providers, SpaceX and Orbital ATK, also received new contracts Thursday, giving the space station three U.S. resupply carriers operating alongside Russia’s Progress logistics freighter and Japan’s HTV cargo ship. The cargo flights covered by the new agreements will begin in 2019, and the contracts have options for missions extending through 2024, the space station’s current projected retirement date. 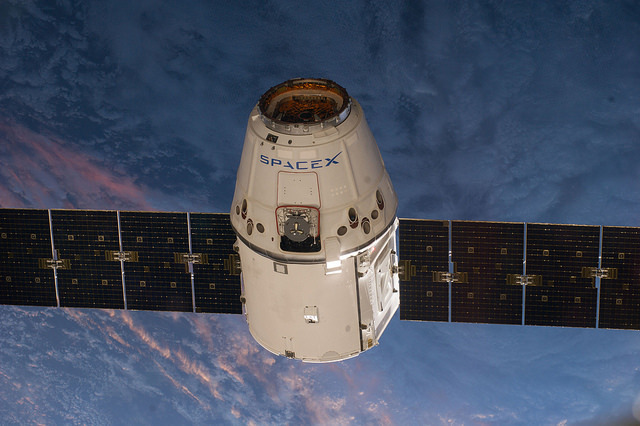 NASA signed the agency’s previous commercial cargo contracts with SpaceX and Orbital ATK in December 2008, and those Commercial Resupply Services — or CRS-1 — agreements have been extended to meet the space station’s supply needs through 2018. The space agency turned to commercial providers to haul supplies to the space station after the retirement of the space shuttle, and NASA plans to debut new commercially-owned crew capsules developed Boeing and SpaceX to transport astronauts to and from the orbiting research lab in 2017. NASA officials said Thursday they chose three companies to expand their options when routing experiments, crew provisions and other hardware between Earth and the space station. Artist’s concept of Sierra Nevada’s Dream Chaser, which includes an expendable cargo module and a reusable space plane. Credit: Sierra Nevada Corp.
“One of the considerations from an operational standpoint with ISS is it’s really important to have more than one supply chain, and mulitple offerers means that at any given time, the sequence of flights could be one Sierra Nevada, Space, Orbital ATK, so if you lose one, you have the ability for another one being right after it from a dissimilar redundancy, or a different supplier, so that’s a big help to us,” said Kirk Shireman, NASA’s International Space Station program manager at the Johnson Space Center in Houston. Orbital ATK and SpaceX had launch failures in October 2014 and June 2015, grounding their Cygnus and Dragon supply ships for months. Orbital ATK purchased two United Launch Alliance Atlas 5 rocket flights to keep flying the Cygnus spacecraft while the company’s Antares booster is grounded. SpaceX has resumed flying its Falcon 9 rocket after its launch mishap, and the next Dragon cargo mission to the space station is scheduled for no sooner than March, nine months after last year’s failure. Sam Scimemi, director of the space station’s division office at NASA Headquarters, said the agency learned lessons from the first round of cargo contracts cinched in 2008. SpaceX and Orbital ATK have carried a combined 35,000 pounds of gear to the space station since commercial flights to the outpost began in 2012, Scimemi said. The fresh cargo contracts, which go into effect immediately, have an aggregate value of up to $14 billion. Tenets of the deals allow NASA to order additional missions beyond each company’s six guaranteed flights as needed until the total cost reaches $14 billion, and Shireman said the space station’s actual cargo requirements will almost certainly fall short of the cap. NASA can procure the add-on cargo flights based on price, capability, past performance and other factors. 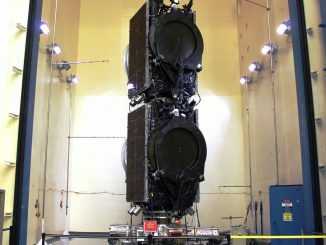 NASA did not disclose the value of each contractor’s base award for six cargo missions, but Orbital ATK said in a press release its six initial flights are valued at $1.2-$1.5 billion. Sierra Nevada and SpaceX did not provide financial figures for their agreements. In a change from the previous cargo contracts, NASA requested bidders to offer different types of mission scenarios to give space station managers flexibility in ordering a cargo flight to match the needs of the moment. Orbital ATK’s Cygnus spacecraft currently primarily launches aboard the company’s internally-developed Antares rocket from Wallops Island, Virginia. Company leaders billed the switch to ULA’s Atlas 5 as a temporary fix while the Antares booster prepares to resume launches later this year. According to Shireman, Orbital ATK submitted a proposal offering three types of mission — two with delivery and disposal of pressurized cargo like food, spare parts and small experiments, and one to take up and get rid of large units and instruments mounted outside the space station. NASA can also decide whether they want to launch the missions aboard Orbital ATK’s Antares rocket from Virginia or ULA’s Atlas 5 from Cape Canaveral, Florida. 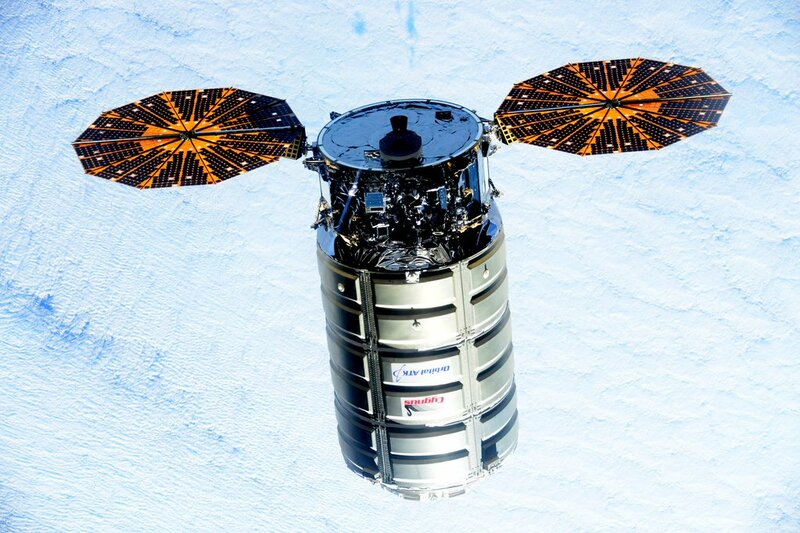 “By utilizing the flexibility of our Cygnus spacecraft, combined with a mixed fleet of launch vehicles, Orbital ATK is providing NASA a complete portfolio of mission options to fulfill their cargo delivery needs,” said Frank Culbertson, president of Orbital ATK’s space systems group. Sierra Nevada outlined two mission scenarios, both with the ability to haul internal and external cargo to the space station, dispose of trash, and return supplies to the Earth intact inside the Dream Chaser’s pressurized compartment. 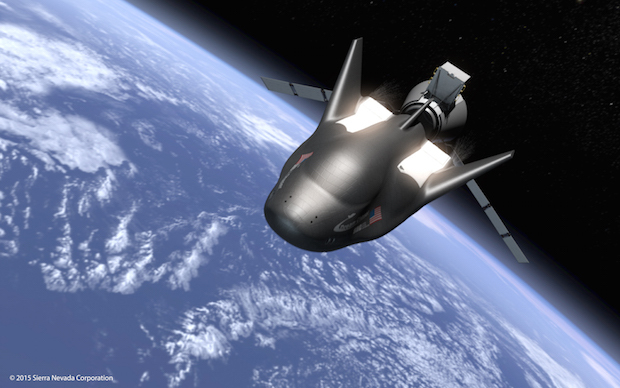 NASA has the option for the Dream Chaser to directly dock to the space station or be captured with the lab’s robotic arm. Each technique has benefits, with dockings permitting the space plane to reboost the space station’s orbit, while the capture and berth method allows astronauts to transfer equipment through a larger hatch on the outpost’s Harmony or Unity modules. The Dream Chaser will launch on ULA’s Atlas 5 rocket, employing the launcher’s 500-series configuration with a 5.4-meter (17.7-foot) fairing. Shireman said SpaceX’s bid included options, too. 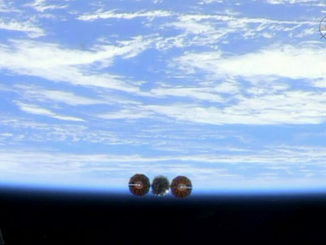 Like the Dream Chaser, SpaceX’s Dragon cargo ship could dock or be grasped by the space station’s robotic arm, he said. 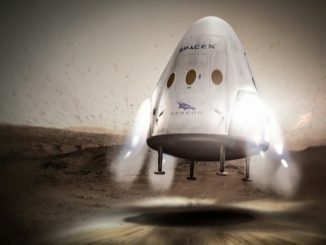 SpaceX also proposed landings of the Dragon cargo capsule in the ocean or on land. Shireman said the new crop of upgraded cargo carriers will deliver heavier loads to the space station than existing U.S. commercial vehicles.